Welcome to our first ever Brand Rep Search! We are looking for some fun and creative people to help promote our products. We know so many you out there have great project ideas and we want to help you make those a reality! 3-4 clear stylish photos per project with high resolution versions emailed to us within 2 weeks of receipt of the decals. 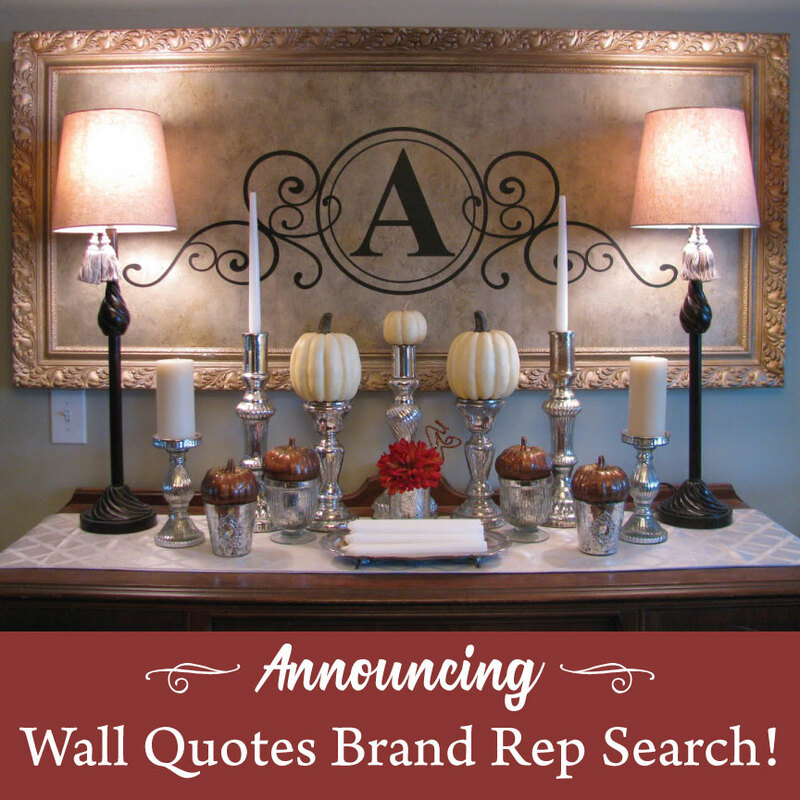 Why do you want to be a Brand Rep for WallQuotes? What makes your style unique? Are you currently, or have you been a brand representative/ambassador for any other home decor company? If so, please provide the company names. Optional: What would your first project idea be? Applications will be ongoing so feel free to reach out. By applying you agree to the terms outlined above and consent to the usage of your photos containing our products across all of our social media platforms which include: our website, Facebook page, Instagram account, Etsy page and Pinterest boards. You also consent to the usage of your photos for other advertising purposes, if applicable.